Our West Texas Whitetail ranches are located in Pecos and Terrell Counties (approximately mid-way between San Antonio and El Paso) and are nestled at the foothills of the Glass Mountains. With approximately 100,000 acres of hunting land, we boast a tremendous population of Whitetail. This area of Texas is definitely animal rich! 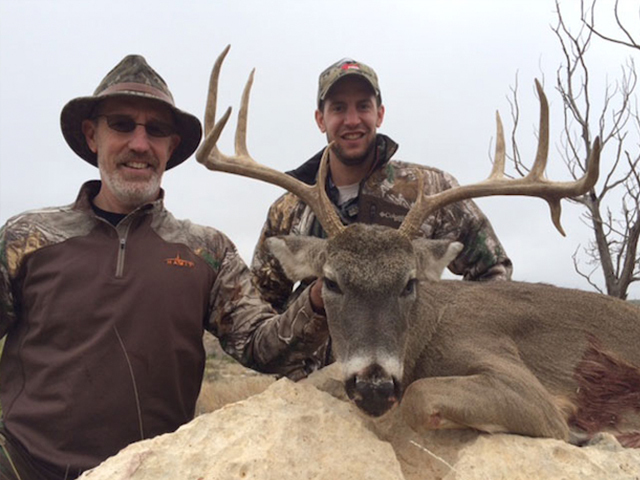 Regardless of where you are in West Texas, the free-ranging/low fenced Whitetail will average in score between 120 and 140, although many larger ones may be harvested. Our extremely high success rates since 1986 speaks for itself and about our ranches. By game managing our deer we are able to produce quality hunts year after year. That, in part, has led to our success rate. 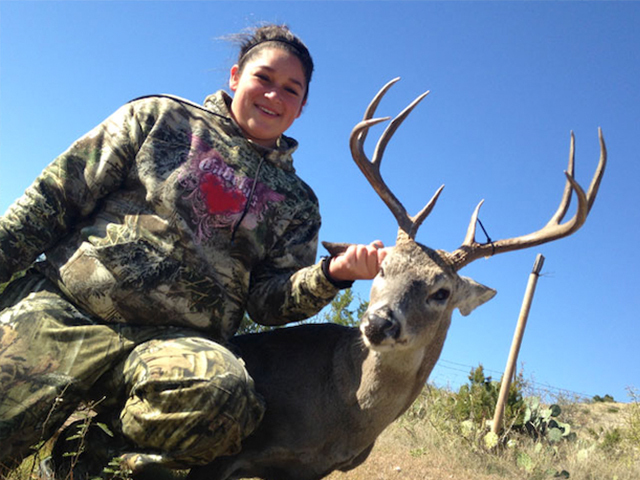 So you too will have the opportunity to walk away with the West Texas Whitetail buck of your choice! We NEVER charge a trophy fee — whether he scores 102 or 202 the price doesn’t change! You may purchase additional animals to enhance your package. You may also purchase additional animals to enhance your package. 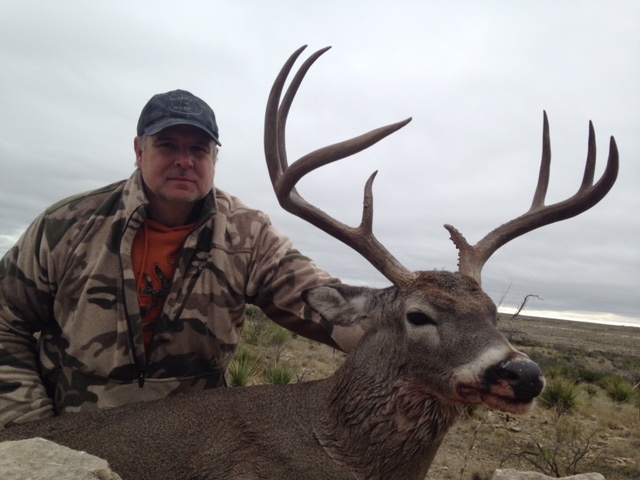 for an experienced hunting outfitter if you are interested in Texas Hunting, or for more information about our whitetail deer hunting in Texas.